Ellen Virginia Wrenn, 101, died early Wednesday morning at The Hinkle House in Davidson. Born September 15, 1917, the daughter of the late David and Cora Smith. She is preceded in death by her husband twenty -nine years, Willie Frank Wrenn, a son, Joel Wrenn, three brothers, Broadus, Dave, Leeroy, four sisters, Kat, Mary, Annie, and Inez. She attended Yarborough School. She was a loving and caring homemaker for her family until the late fifty’s or early sixty’s and at that time her career began at Link Taylor in the Furniture Industry as a sander. She was a lady that enjoyed all varieties of crafts which included sculpting eggs, and crocheting. 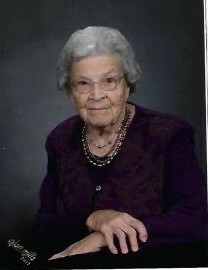 She was a faithful member of Sheets Memorial Baptist Church. Those left to cherish her memory are a son, Roger Wrenn (Kathleen) of Fredricksburg, Virginia; two daughters, Carolyn Wallace of Denton and Lou Ellen Bean (Franklin) of Cranford, West Virginia; four grandchildren, Todd and Jeffrey Wallace, Jessica Franzelas, Jereme Bean, and eight great grandchildren, Whitney, Skylar, Adam, Alex, Ana, Hunter, Travis, and Troy. 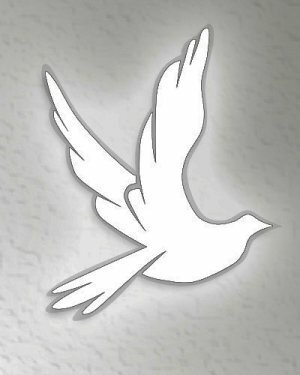 There will be a Gathering of Family and Friends on Friday, December 14, 2018, at Sheets Memorial Baptist Church from 1:00 until 3:00 PM. A Celebration of Life Service will begin promptly at 3:00 PM following the visitation. The Rev. Frankie Matthews will be Officiating. Interment will be held at later date. The family wishes to extend their gratitude to all the nurses at Hinkle Hospice House that took care of Mother. For those who wish to pay their respects to the family at the home, you may do so at daughter, Carolyn’s residence.